LED lighting has proven to provide longer life, better durability and easy controllability compared to traditional lighting sources. 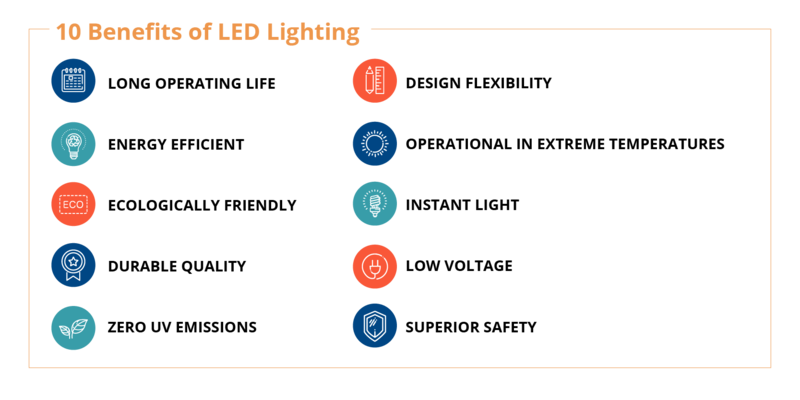 These benefits make LEDs the smart choice for schools and higher education institutions. 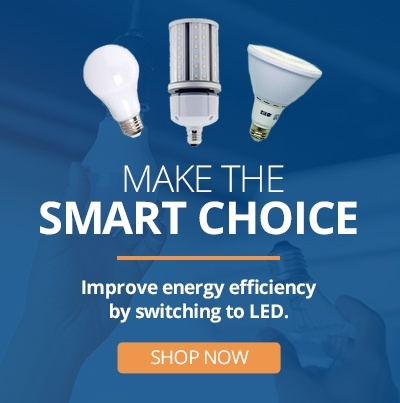 LED lamps can last up to five times longer than metal halide or high-pressure sodium HID lamps while consuming up to 80 percent less energy. This can lead to numerous cost savings, the most obvious of which is reduced energy usage. However, less frequent re-lamping means lower maintenance costs as well. Plus, built with no moving components or breakable glass, LED lamps fail at a much lower rate than their HID counterparts. Replacing 100 post tops on a campus with LED replacement lamps can save over 60,000 kWh per year, and more importantly, save your facility hundreds of thousands of dollars over the lifetime of the lamps. Safety is also an important consideration in lighting. HID lamps feature glass envelopes that pose shatter risks. Upon breakage of the envelope, mercury and other harmful gases present in traditional HID lamps can leak into the facility. LED replacement lamps are substantially more durable and made of plastic, with an ability to withstand an impact. Made with no hazardous materials, LEDs have no risk of contaminating your school’s environment. Replacing HID lamps with LED technology is a safe step to ensuring that your students and staff enjoy gymnasiums or other recreational facilities without the possibility of injury from lamp breakage. LEDs can enhance campus aesthetics. They feature precision optics, and many LED fixtures are controllable or dimmable. Also, LED lamps and fixtures are available in a variety of color temperatures, letting you create the look you want. Whether you are setting the right amount of light to hold an event or simply want well-lit paths on your campus, LEDs provide a higher level of controllability and reliability compared to HID lamps. Students and teachers maneuver throughout school buildings day in and day out, dealing with the dim fluorescent lit rooms and hallways. The fluorescent bulbs that are lighting these buildings and hallways may be dull and dated, causing discomfort and impairing task performances in students and teachers. Research has shown that adjusting the color temperature of lighting to match the time of day can have a positive effect on circadian rhythms, affecting everything from mood to sleep quality. It is also shown that LED lighting has positive effects on students’ concentration and relaxation, possibly affecting focus, retention and recall. Lighting cost and color are often overlooked topics. Most people don’t consider how the lighting they experience every day affects them. LED is changing how lighting is perceived and can impact the quality of our lives. Replacing costly HID lamps with LED technology has many advantages to improve energy efficiency, safety, and aesthetics. There may be major improvements on educational campuses with the way students and teachers benefit from the future of LED. For 38 years, EiKO Global, LLC has delivered the industry's best lighting products. Carrying over 5,000 SKUs and the broadest selection of any manufacturer in its class, EiKO is committed to providing innovative products, unique solutions, and unmatched support to its customers.